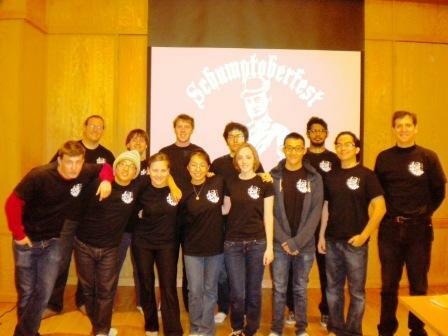 Schumptoberfest 2012 is taking place this weekend on the Grinnell College campus. We started this back in 2010 with a group of students as a Bjorklunden retreat, and for the past two years the Associated Colleges of the Midwest has provided funding to bring in faculty and students to talk about innovation and entrepreneurship in the liberal arts curriculum. 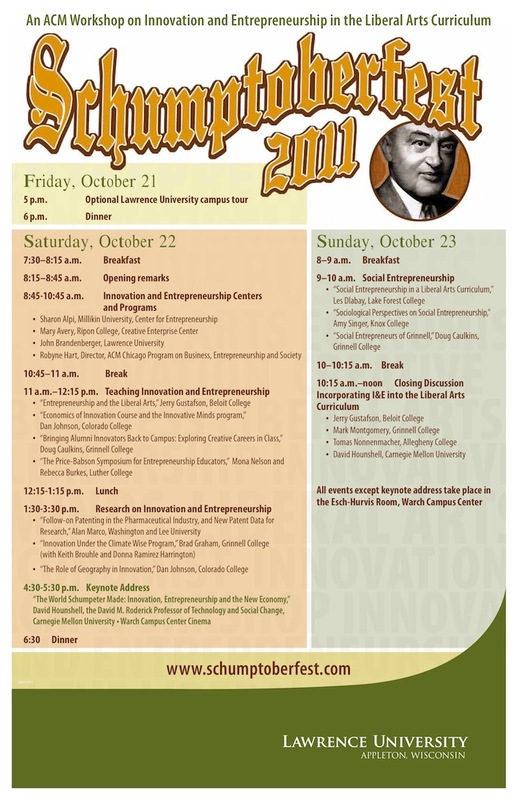 This year’s keynote comes from Columbia Business School’s Ray Horton, “The Utility of Schumpeter’s Conception of Entrepreneurship Then and Now.” It will be interesting to hear what he has to day. Lawrence will also have a solid presence. The Flickey guys will be talking about the fruits of the Pursuit of Innovation course, which was the subject of a nice This is Lawrence feature. Babajide Ademola and Patrick Pylvainen will also talk about their work looking at innovation & entrepreneurship in post-conflict Sierra Leone. You can learn about Professor Skran’s work there in this This is Lawrence video. You can read more at the LU homepage or on the Grinnell homepage. 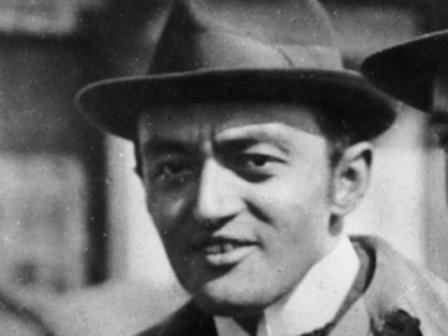 For those of you interested in an extra unit or two, next term we are offering an independent study / tutorial reading Joseph Schumpeter’s classic, Capitalism, Socialism, and Democracy. For those of you unfamiliar with the book, here is a review by Schumpeter biographer, Thomas McCraw. This is a thick book, so if you are interested, I would recommend that you pick up a copy and start in on it over break. The likely trajectory for this is for us to set up a weekly discussion time, and for each student to provide a review essay. See Professor Gerard or Galambos for details. 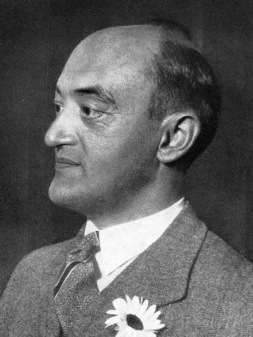 That’s Schumpeter on the fashion industry. Watch this space for Schumpeterian-type discussions of fashion, beer, Hollywood, and Wal Mart. Here is some more background on that quote. It is certainly consistent with the overarching theme of Capitalism, Socialism and Democracy that capitalism might die out due to lack of enthusiasm from its principal beneficiaries. The accompanying illustration is from the legendary political cartoonist, Herblock. I snagged both the quote and the picture from the Spirit of Moderation blog. Following up on Chapter VII of Capitalism, Socialism, & Democracy from last time, we move on to some rather more modern treatments of the economics of innovation. We start with Professor Galambos’ and a slightly modified version of the primer he gives to his students in his excellent course, In Pursuit of Innovation (coming this winter). Galambos wades through some basics of innovation policy and the industrial enlightenment before arriving at the question of allocative efficiency on pages 4 and 5. Again, the conventional treatment is that there is a tradeoff between the promise of monopoly profits and the efficiency properties of competitive industries. And, recall, this is a tradeoff that Schumpeter explicitly rejects. I n the second post here, I will simply concentrate on Chapter VII of Capitalism, Socialism, and Democracy, and try to tie together some themes for the weekend. For our purposes, I have numbered the paragraphs 1-13. As we proceed into this chapter, it is probably useful to keep in mind that at the time of this writing, the national income accounts and measurement of economic output were even more primitive than they are today. So, one question is how did economists in 1942 think about “growth” and “output”? The null hypothesis is immediately stated in the opening sentence of the chapter — that there is some question that “capitalist reality” stifles economic growth. I take “capitalist reality” to mean the consolidation of firms and increasing concentration of industries as they mature. This is going to get at the essence of a “Schumpeterian Hypothesis,” (see the last sentence of paragraph two for a germination of this idea — “big business may have had more to do with creating that standard of life than keeping it down.” We’ll get to the efficiency implications of this in a bit, but for the moment note that he offers two possible rationales for the antagonism toward large firms. One is the idea that growth occurs despite the “managing bourgeoisie” (that is, monopolists restricting output and jacking prices). The second is that this worked for a while, but it cannot proceed indefinitely. These introductory readings shouldn’t take terribly long to read — perhaps an hour. I will carefully go through Chapter VII of Capitalism, Socialism, and Democracy in my next post. The first reading from Paul McNulty on how Austrian economists view competition immediately invokes Schumpeter as a critic of the model of perfect competition. As many of you know, the model of perfect competition that I love and teach in price theory, is essentially an equilibrium construct. That is, we expect to be moving toward a long run competitive equilibrium, where price = average costs for the marginal firm in the industry. (Incidentally, the way that firms compete in the fourth paragraph is largely what Industrial Organization is all about). Schumpeter, in contrast, espouses a “disequilibrium” theory, and argues that competition isn’t about allocative efficiency as much as it’s about, that’s right, creative destruction. I have logged several folks for the Schumptoberfest weekend weekend, October 22 to 24, at Björklunden. If you are interested and would like IS credit, please sign up with me by Friday. I have some IS forms tacked on the board outside my office. it is best that you sign up by Friday. Travel to Björklunden over reading period (Friday evening until Sunday afternoon) and participate in our workshop. Write a short response paper (3-5 pages) to the ideas and discussions from the weekend. We would like to engage students who have a good understanding of micro theory and are interested in innovation and entrepreneurship. The readings dovetail nicely with my Economics 400 (IO) and 450 (theory of the firm) courses. I am in the process of completing the reading list and will provide both PDFs and reading guides for the materials within the next week. As an addition to the burgeoning I&E program, the inaugural Schumptoberfest™ is coming to Björklunden over reading period weekend, October 22-24. If interested, you need to sign up with Professor Gerard. 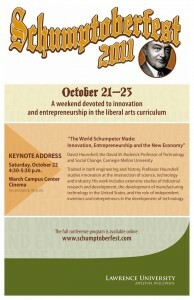 What is Schumptoberfest ? 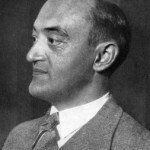 In short, it is a celebration of the ideas of economist Joseph Schumpeter, the subject of our first I&E Reading Group earlier this year. Through reading and discussion, we will develop a better understanding of innovation and entrepreneurship generally, and particularly the importance of economic organization fomenting or retarding entrepreneurial activities. Of course, we also hope to develop a rapport among the students and faculty interested in these topics. The target audience for Schumptoberfest is students who have a firm grasp of micro theory and have an interest in the scholarship on innovation and entrepreneurship. The course should be an exceptionally good fit for students who have taken or are planning to take Industrial Organization and The Economics of the Firm. Those interested need to sign up with Professor Gerard as soon as possible. Those interested in receiving the two independent study credits need to sign up with him by Friday, September 24. We expect 10-15 students and 3-5 faculty members to participate. *Professor Gerard will provide the readings and reading guides over the course of the next few weeks. We will set the parameters of the writing assignment during the retreat.